Leading Cooling products maker ARCTIC, today announced its Accelero Hybrid 7970 cooling solution which combines both Air and Liquid to give unparalleled cooling performance for high-end GPU’s. 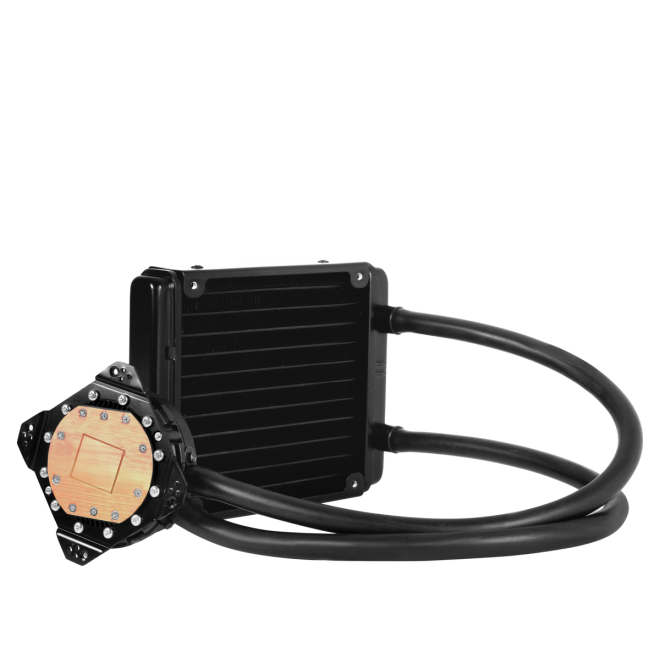 With a max cooling capacity of 320 Watts possible with a custom 120mm Dual loop radiator which is cooled by a 120mm PWM controlled fan. 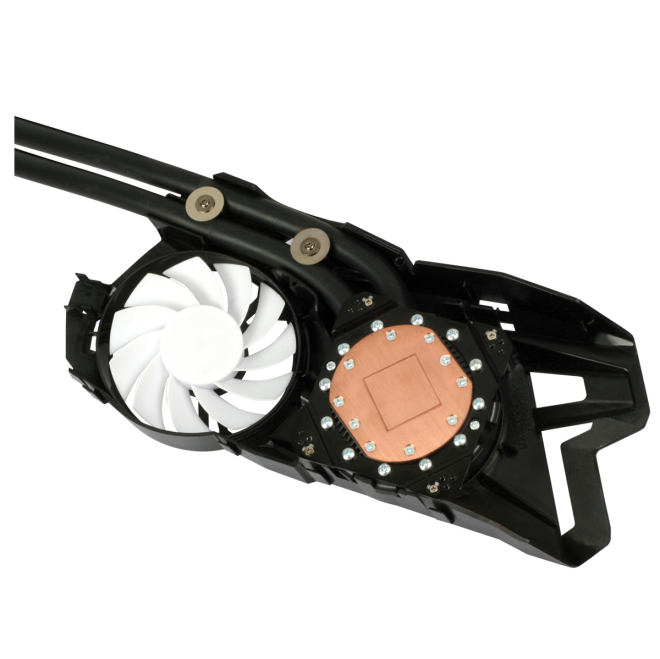 An additional 80mm fan is located on the cooler shroud placed on the cards PCB which operates at 900 – 2,000 RPM (PWM controlled) maintaining an airflow of 13.1 CFM. 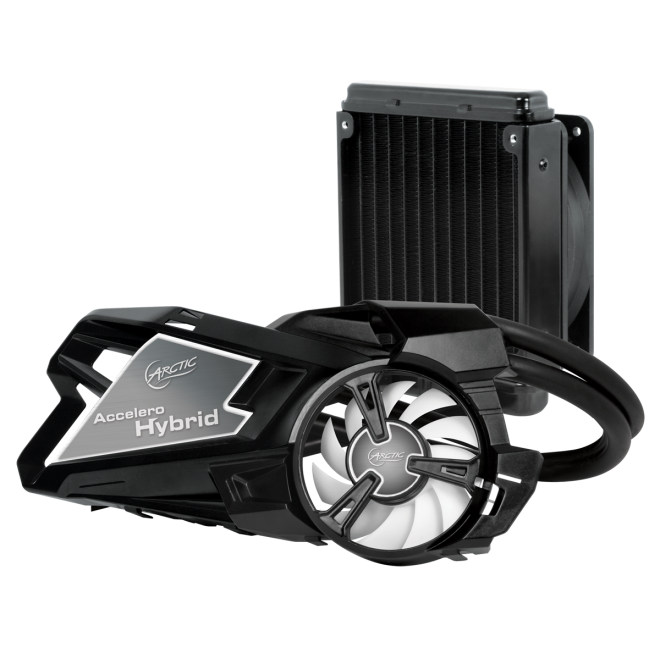 ARCTIC Accelero Hybrid is compatible with both HD7900/HD7800 series GPUs. The whole package measures 330 (L) x 188 (W) x 260 (H) mm and weighs a total of 4.5kg, coming at around an MSRP of $179.99 with a warranty period of 2 years. 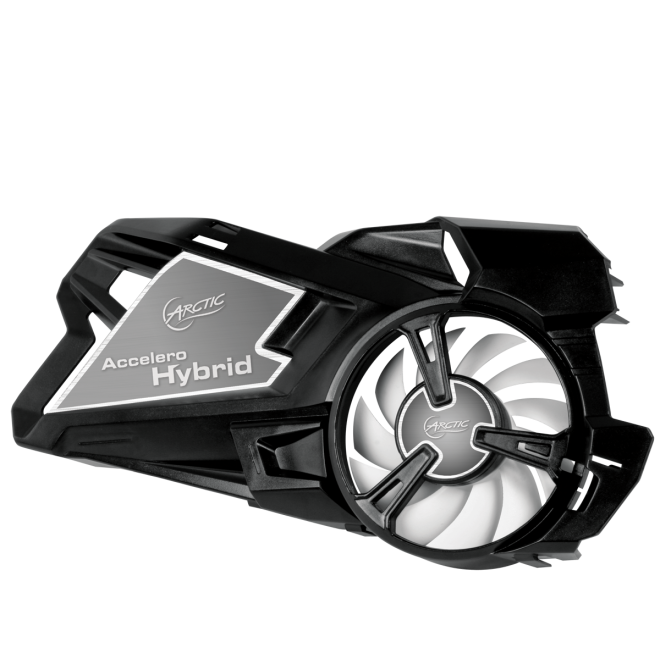 Official global launch date is 6th August, The Accelero Hybrid would prove as a feast of cooler for overclocking professionals and enthusiasts.